Last week, Robert Redford's Sundance festival came to London for the first time, with four days at the O2 Arena offering up numerous films, musical events and masterclasses. I caught a few of the new features that were on show at the festival, and here's my take on four of them. 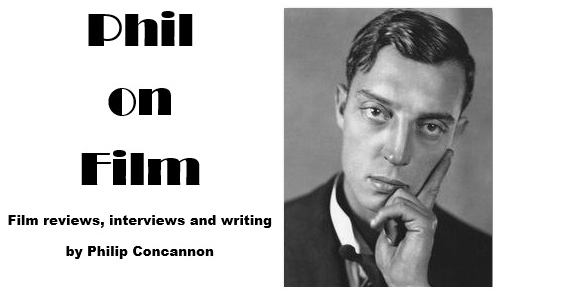 One of the skills a documentary filmmaker must possess is the ability to adapt when twists of fate dramatically alter the subject of the film they have set out to make. 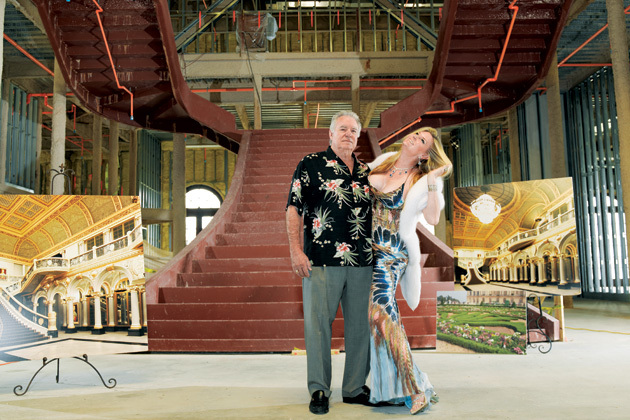 When Lauren Greenfield began filming David and Jackie Siegel, they were one of the wealthiest families in America and were in the process of building their dream home, a 90,000-square foot mansion in Florida modelled on the opulent Palace of Versailles. Within a couple of years, however, the financial crisis had caused significant damage to David's timeshare empire. The Queen of Versailles intimately captures the Siegel family as they readjust to the new realities of their situation – or fail to readjust in some cases. Jackie treats herself to caviar and facial treatments while her husband rages about money being haemorrhaged, and one telling shot shows the Siegels' nanny shaking her head as she sets down the kids' new bike next to an enormous pile of barely-touched bicycles. For a while, it looks like The Queen of Versailles is setting the Siegels – and particularly Jackie – up to be mocked. She's a 42 year-old ex-beauty queen with enormous fake breasts, married to a man three decades her senior, who thinks nothing of taking a stretch limo to the McDonald's drive-thru. The couple's plans for their Versailles-inspired mansion are a monument to obscene wealth and tacky taste, and the pair give their interviews to Greenfield's camera while sitting on a golden throne. It may seem as if the film is aiming to let the Siegels hang themselves on camera, but Greenfield is fairer than that, and while many viewers will undoubtedly enjoy the sense of schadenfreude that comes with the fall of rich people, she never lets us forget that the Siegels are, at heart, decent people. They're generous and good-humoured, and perhaps their only fault is the naïveté with which they indulged in the pursuit of their American dream while failing to spot the storm clouds on the horizon. The Queen of Versailles allows us to empathise with them as one home begins to fall apart (dog turds litter the carpet as the cleaning staff is let go) while their fantasy mansion sits half-finished and David fights to keep hold of everything he has worked for. That fight is still ongoing as the credits roll, and Greenfield drifts rather uncertainly towards the ending as we sense there's more of this story to yet be told, but in her skilled and balanced hands, the Siegels' story becomes a fascinating, oddly affecting and cautionary tale. Wanted: Somebody to go back in time with me. This is not a joke. You’ll get paid after we get back. You must bring your own weapons. Safety not guaranteed. I have only done this once before. That's the classified ad that ran in newspapers in 2005, and it's the inspiration for Colin Trevorrow's moderately charming but exasperatingly underdeveloped directorial debut. It begins in the offices of a Seattle magazine, where this ad is raised as the seed for a potential story. Cocky reporter Jeff (Jake M. Johnson) sets out to investigate with interns Darius (Aubrey Plaza) and Arnau (Karan Soni) in tow, but he's really intent on rekindling an old flame, leaving Darius to do most of the work. This is good news for the movie, because Plaza is an actress who rarely gets a chance to shine in a lead role and seizes this opportunity. Her dry, sarcastic delivery is tempered by the surprising amount of emotional texture she brings to the film as Darius grows increasingly conflicted in her relationship with would-be time traveller Kenneth (Mark Duplass). There's not really enough going on in the central narrative of this story to sustain a movie – even one that runs for a brisk 84 minutes. Trevorrow tries to pad his movie out with a subplot involving Jeff's burgeoning romance with his high school sweetheart (Jenica Bergere) but these scenes feel rushed and half-assed, and are transparent in the way they exists solely to give their character something to do and to try and provide some shading for his personality, an attempt that fails. Similarly, the awkward and virginal Arnau is very much a third wheel and Jeff's attempt to help him get laid is shoehorned into the film clumsily and subsequently forgotten about. Safety Not Guaranteed is all loose ends, and while some might think this gives the picture a shaggy charm, it just felt underdeveloped to me, when a rewrite and firmer directorial hand could have fully exploited the genuinely good ideas it has in its locker. Duplass and Plaza are an endearing pair who are largely responsible for Safety Not Guaranteed being as engaging as it is, but the film is a litany of missed opportunities, with rushed and botched ending being a particular disappointment. Before it stumbles with an ending that feels forced and obvious in its stab at resonant ambiguity, So Yong Kim's For Ellen is an absorbing and quite moving character study. Paul Dano impresses in a role that forces him to carry much of the movie singlehanded, playing a rock star who is in the midst of a messy divorce. His lawyer (a dialled-down Jon Heder) has negotiated a settlement for Dano's Joby Taylor, but the deal stipulates that he will have no visitation rights with his young daughter, a revelation that forces him to consider if this is what he really wants. Joby and his wife (who never really registers as a character) had their daughter when they were very young and probably before they were ready for such a responsibility, but the film gives him one last chance to connect and play the role of father before she leaves his life forever. There's plenty of scope for sentimentality in this setup but Kim mostly avoids it. Her film is low-key and observational, allowing for long stretches in which little happens but Dano's committed performance holds our attention. His awkward relationship with Heder's well-meaning but ineffective lawyer are amusing, but the film's finest moments occur when Dano is finally allowed a two-hour visit with Ellen (Shaylena Mandigo). Opinion was divided after the screening over Mandingo's performance – some found her charming and convincing, while others found her false and cloying – but I liked her and I liked the rapport she developed with Dano. The hesitancy and slowly emerging affection in their short scenes together felt real and moved me without feeling too heavy-handed. Sadly, Kim doesn't real know where to take her story once the focus has shifted away from their relationship, and the ending (which features a rather purposeless cameo from Jena Malone) is a glib disappointment. There's a lot to like in Nobody Walks. The performances, from a collection of indie-movie regulars, are uniformly excellent, the film is beautifully shot, and there are some notable instances of sound being intelligently used – but there's really nothing here you haven't seen before, and Ry Russo-Young's film fails to freshen up its familiar material. 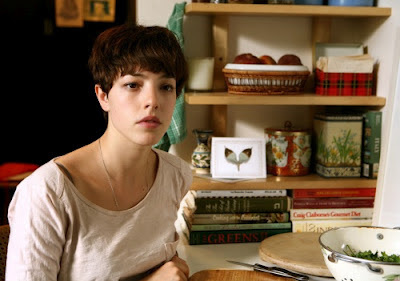 Set in LA, the film charts the effect that attractive young artist Martine (Olivia Thirlby) has on the family she goes to stay with while working on her installation. Sound designer Peter (John Krasinski) has agreed to help mix her soundtrack, but he's instantly smitten, as is any man who apparently lays eyes on her. Peter's wife Julie (Rosemarie DeWitt) is all too aware of the spell Martine is casting over her husband, but she has temptations of her own to deal with, as one of the psychiatrist's patients (Justin Kirk) has become very open about his amorous intentions towards her. It's hard to really pick holes in Russo-Young's film as there's nothing inherently wrong with it and it probably succeeds on the terms the director has set for herself. But it's also a hard film to get excited about or particularly involved in, and I think much of that has to with the director's storytelling choices. She opts for a simmering, detached tone that feels as if it's only skimming the surface of the turbulent emotional territory that she and co-writer Lena Dunham have opted to explore. Some aspects of the movie are particularly short-changed by this tentative approach, such as the strand of the narrative that touches on the uncomfortable relationship between Peter and Julie's daughter Kolt (India Ennenga) and her Italian tutor, which should either have had more time allotted to it or been dropped completely. By the end of the picture, the waters that this family swim in appear mostly untroubled, which the filmmaker may cite as a subtle move but which I'm taking as a lack of conviction. By the way, the central narrative of Nobody Walks – of a dangerous innocent disrupting a family with their sexual power – brought to mind Pasolini's Theorem, but without any sense of danger, mystery or intellectual rigour. Nobody Walks fails simply because it so consistently plays it safe.